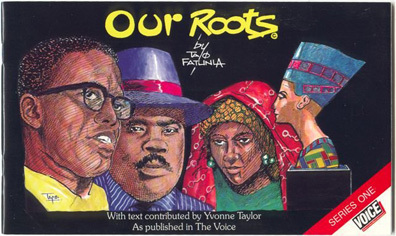 OUR ROOTS - a compilation of educational cartoon strips on black history drawn by TAYO and serialised in the Voice on weekly basis in Britain since 1989. 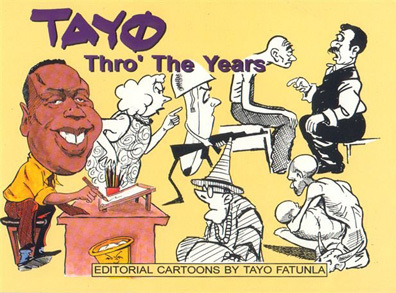 Published by Blackheart Productions Limited U.K.
A collection of TAYO's editorial cartoons published around the world on issues such as World Trade, Debt, Poverty, Aids, Human Rights and Politics from an African perspective. 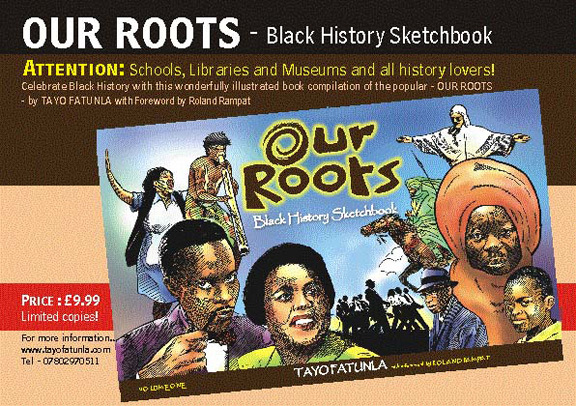 No part of this web site may be used or reproduced in any manner whatsoever without written permission.